Apr 12, 2016 by MI Periodontal Assoc. Daniel J. Melker, D.D.S. has been in private practice of Periodontics for the past thirty nine years in Clearwater, Florida. Dr. Melker has lectured to the University of Florida Periodontic and Prosthodontic graduate programs on the Periodontic-Restorative relationship and has also lectured at Baylor University, University of Houston, University of Alabama Birmingham, as well as LSU Graduate Periodontal Program. 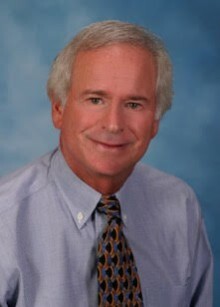 Dr. Melker’s lectures include the Florida Society of Periodontics, the Pankey Institute, Florida Dental Hygiene Society, the Southwest Florida Dental Society, the West Coast Dental Association, Florida Society of Prosthodontics, the Massachusetts Dental Association, the New Orleans Dental Congress, American Academy of Periodontology and the Florida Academy of Cosmetic Dentistry, Arizona Dental Society, Connecticut Society of Periodontists, Iowa Dental society, Maimonides Society in Washington DC, Greater Orlando Dental Society, Institute for Advanced Laser Dentistry and the Ontario Academy of Periodontics. The highlight of Dr. Melker’s presentations occurred when he spoke to the Illinois Academy of Periodontics. Each Periodontist was able to bring his or her referrals which truly made it a TEAM concept presentation. In April 2011 Dr. Melker had the pleasure to speak at the FEDI meeting at the U. of Missouri. As a follow-up Dr. Melker recently presented to the Wisconsin Periodontal Society with the same format of each Periodontist bringing his referrals. Dr. Melker has published articles in The International Journal of Periodontics & Restorative Dentistry, Academy of General Dentistry, Contemporary Esthetics, Dentaltown, JIACD, Chairside Dentistry and Dentistry Today. Dr. Melker is also a two time Gold Medal recipient from The Florida Academy of Cosmetic Dentistry. In participation with Proctor & Gamble/Alza and Biora Dr. Melker was a clinical researcher in relationship to the tetracycline delivery system, Actisite® and Emdogain enamel protein matrix. In addition, Dr. Melker participated in the Actisite® Launch Satellite Symposium as a case presenter and has also lectured for Biora on the benefits of using Emdogain in bone regenerative procedures.